CANCUN, Mexico -- Sooner or later, scores of U.S. businesses will be setting up operations in Cuba. But what can companies that are contemplating entering the Cuban market anticipate? Here's a look at some of the realities of doing business in Cuba that surfaced in the presentations made at the Cancun conference. 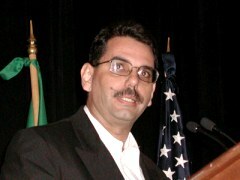 "You have to build trust and be willing to invest," Hellmann Worldwide Logistics' Hans Pittinger (pictured above) advised in setting up Cuban operations. 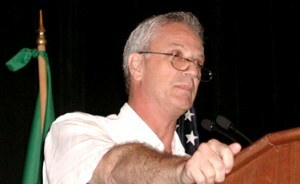 Hans Pittinger of German-headquartered Hellmann Worldwide Logistics described his company's successful entry into Cuba. "Cuba is a great opportunity for any company that comes with a commitment to establishing a good relationship," said Pittinger, vice president of global accounts and international public relations director for Hellmann, which established a Cuban presence in 1995. "You have to build trust and be willing to invest. We had to first establish our own credibility and trust with local supporters," Pittinger continued. Government officials were "very helpful" in assisting Hellmann Worldwide Logistics in setting up its Cuban operations, he said.. Cuba's infrastructure "is in very good shape," Pittinger noted. "Every time I go back I see great improvements." Havana is also extremely safe, he explained. "I feel safe walking down the streets of Havana at midnight with all of my work and all of my money with me," he said. "In Frankfurt, I would not feel safe doing that at noon." Transportation limits, however, have presented a challenge for Hellmann, Pittinger noted. "There are a limited number of steamships and not the amount of regular sailings that we would prefer," he explained. Planes flying in and out of Cuba also "tend to be smaller," and "there's a lot of work to be done in containerized cargo," he added. "The biggest handicap we're facing," said Pittinger, is recurrent procedural delays in getting shipments from the United States into Cuba. The licensing process "needs to be more automatic," he noted. All Cuban sectors save health, education and the armed forces are open to foreign investment, Cuban officials explained at the Cancun conference. And American companies, despite U.S. sanctions that have lasted more than 40 years, will be treated evenhandedly in Cuba, they added. "There are no restrictions in Cuba regarding potential U.S. investment in our country," said Ernesto Senti, first vice minister of Cuba's Ministry of Foreign Investments. "U.S. companies will come to Cuba on equal conditions with all other investors." Cuba first opened its doors to foreign investors in 1988, beginning with the nation's tourism sector, Senti explained. Companies may invest through joint ventures, wholly owned "foreign capital enterprises" or "economic association contracts," he added. Companies setting up Cuban operations are charged a 30 percent tax on profits and a 25 percent tax on payroll. Cuba has signed agreements for avoiding double taxation with Barbados, China, Italy, Lebanon, Portugal, Russia and Spain, Senti said, and officials are negotiating similar agreements with other nations. Forty-six nations have invested in Cuba since foreign participation began in 1988, Senti explained. Spain, he noted, has been the nation that has been the largest foreign investor in Cuba thus far. Spain's 104 projects account for 26 percent of total foreign investment in Cuba to date. With its 70 investments in Cuba accounting for 18 percent of the nation's total, Canada ranks as the second most active nation in foreign investment in Cuba. Italy ranks No. 3, with its 57 projects accounting for 14 percent of Cuba's total. Alamar Associates President Kirby Jones, drawing on almost three decades of Cuban experience, offered some of the most detailed advice for setting up operations in Cuba. "Take the long view, not the short view. This is not a country for the quick business hit," Jones said. Companies entering the Cuban market should also avoid "trying to do everything at once," he advised. "You don't know them, and they don't know you. Pick one area where's you strong, start there, and do it well." Canada's Sherritt International is one company that followed that strategy in Cuba, Jones explained. The company first focused on the nickel business. Then, after establishing a track record in the country, Sherritt expanded into other areas in Cuba, including telecom and hotels. 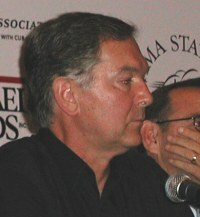 Israel's Grupo BM, Jones said, took a similar tack, first establishing itself in Cuba with a citrus operation. Since then, Grupo BM has expanded into real estate, construction, computers and flower exporting. Jones, however, cautioned, "It's not easy doing business [in Cuba]. It's different from doing business in other countries. There's no business environment quite like it." Cubans, he continued, are "wary friendly, open people. But when they sit down at the negotiating table, it's all business. They're knowledgeable, tough negotiators. Be prepared for tough negotiations." Companies also need to be creative in dealing with Cuban rules and regulations, Jones advised. "Don't try to shortcut the rules and regulations," he said. "Respect the regulations, but don't give up. Look for other ways to accomplish the same things you're trying to achieve." Personal relationships are also a major consideration in doing business in Cuba, Jones added. "We've seem $36 million in agricultural sales into Cuba, and everyone said that that was impossible," he explained. "Who's to say what will set in motion the next round? Those who have already established relationships will be those who get the call." The Cancun conference also offered insights into the Cuban labor market. "The Cuban people know how to run their companies and their country, and they do it very, very well," David Harding, president of MFI Export Finance, told attendees at the Cancun conference. One Cuban company profiled at the conference was Cubalse, a state-owned company that provides commercial services. Cubalse's 11,000 employees reflect the youth and high educational levels found in much of the Cuban labor force. The company's work force has an average age of 37, and one of every four employees has a university degree, explained Cubalse First Vice President Eduardo Tejera. The Trade Sanctions Reform Act allows U.S. banks to finance export sales to Cuba through foreign registered subsidiaries, , explained GIC Group President Rick Gilmore. High educational levels and youth similarly earmark the work force at ITH, a state-owned operation centered on importing goods and services for the tourism and hotel industries. "Forty-nine percent of our employees have post-secondary education," said ITH President and Director Jesus Calderon. And 42 percent of the company's employees are under 35 years of age, he added. The Cuban conference also offered insights into financing Cuban deals. Currently, Cuba remains a closed door for U.S investment and international financing. The nation is open, however, to foreign lenders, explained GIC Group President Rick Gilmore. "Contrary to conventional assumptions in the U.S., there is increasing foreign capital participation in Cuba. And that means that there will be increasing opportunities for commercial trade and private capital flows," Gilmore noted. The agricultural sector, he added, "is under-represented in foreign capital." But the Trade Sanctions Reform Act allows U.S. banks to finance export sales to Cuba through foreign registered subsidiaries, he added. "That's a small crack in the door," Gilmore said. "But whatever the source of the capital, it means more available financing for U.S. agricultural exports." sp0204csp0204c ©2002 Conway Data, Inc. All rights reserved. Data is from many sources and is not warranted to be accurate or current.